Is there a better alternative to Skii? Is Skii really the best app in Control Strips category? Will Skii work good on macOS 10.13.4? 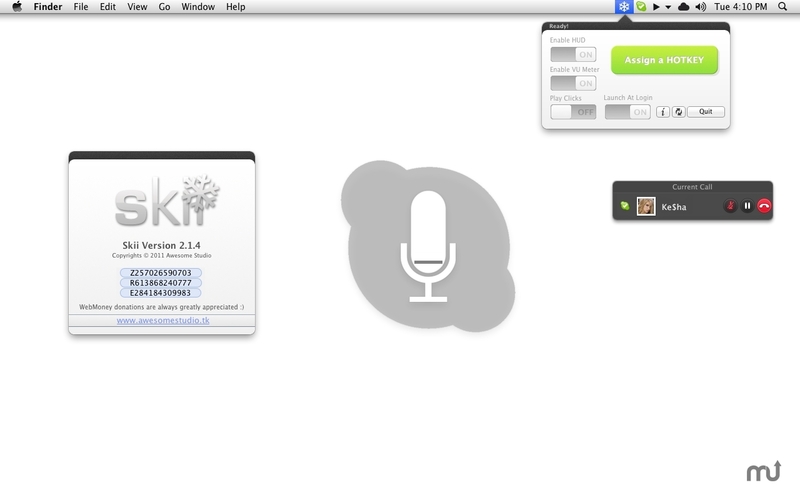 Skii is a very easy to use and simple plug-in that uses the Skype API to simplify the Push-to-Talk function. The app gives the user the possibility to control the Skype Push-To-Talk function with just one button! a small utility that will definetly improve your Skype user experience but also your overall workflow.